At Cortez Gold Buyers Chula Vista CA 91910 we pay cash for gold on the spot. At Cortez Gold Buyers in Chula Vista CA 91910 we pay cash for gold in Chula Vista CA 91910. Are you looking for a place to sell gold in Chula Vista and get high payouts on your gold? Then you have come to the right place. 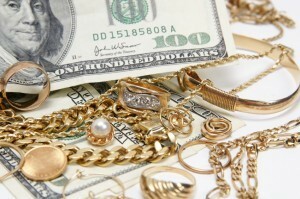 At Cortez Gold Buyers we pay high payouts for all your gold items. We pay cash for gold on the spot, no waiting, no hassle. 1) Come to the Chula Vista Jewlery Exchange at 255 3rd Ave., Chula Vista CA 91910 and look for us inside the Exchange. 4) Give you a cash offer for selling your gold in Chula Vista and pay you cash on the spot. Sell Gold in Chula Vista CA to Cortez Gold Buyers. We pay Cash for Gold in Chula Vista CA. Come see for yourself why many of our customers say we are “the best place to sell my gold in San Diego”. We are also silver buyers in Chula Vista CA 91910. Sell Silver in Chula Vista CA 91910 for high payouts and cash on the spot by coming to Silver Buyers Chula Vista at Cortez Gold Buyers. How is My Gold Evaluated at Cash for Gold Chula Vista? When it comes to selling gold, the person testing your gold should have some expertise in evaluating your gold. Gold is usually tested by doing a magnet test first and then an acid test. Different strength acids are used to test the gold for 10 karat, 14 karat, 18 karat and 22 karat gold. If the person testing your gold is not well versed in testing gold or not honest, they can determine your gold is a lower karat gold than it really is. In selling gold in Chula Vista or if you are selling gold in San Diego, it is a good idea to get a few opinions before you sell your gold. Just because a gold buyer in Chula Vista or gold buyer in San Diego tells you your gold is a certain karat it does not mean their assessment is accurate. We are professional gold buyers in Chula Vista. We have gold testing equipment including magnets, acids and electronic instruments to help determine the karat quality of your gold. We also can do X-ray tests on the spot. When using acids, electronic equipment or X-ray tests, your gold might have to be filed to get through any gold plating so that an accurate reading is obtained. Not all gold buyers in Chula Vista are the same. Some pay more than others. It is always a good idea for you to check around to get the best price for your gold and gold jewelry. Not all gold buyers in Chula Vista CA 91910 pay cash. Most actually pay by check. So if you need cash, make sure your gold buyer in Chula Vista is able to pay cash on the spot, not send you to the bank to wait in long lines. Finally, with Gold Buyers Chula Vista, you always get paid in CASH for GOLD, no checks, no waiting in long bank lines to cash your check, no hassle.